A powerful 7.5 magnitude struck Indonesia on Friday, prompting a tsunami warning hours after multiple earthquakes rocked the island including a mag 6.1. 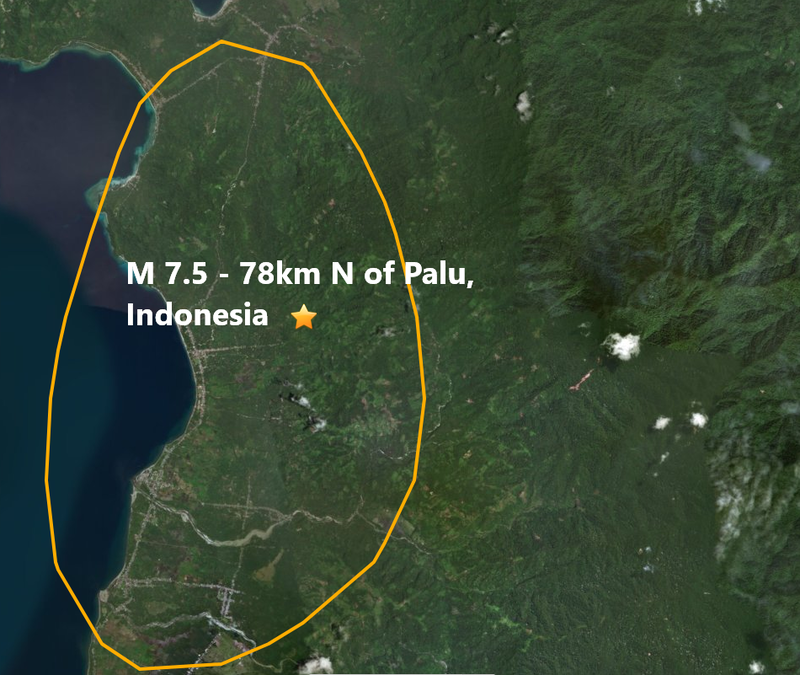 The quake struck near the central Sulawesi region at around 6 p.m. It wasn't immediately clear if there were any injuries or damage resulting from the quake. Tsunami warnings were issued by Indonesia's meteorology agency for the Central Sulawesi and West Sulawesi provinces. Residents in the area were urged to get to higher ground. Earlier Friday, Indonesia was struck by multiple earthquakes. At least one person was killed and dozens of homes were damaged. This mornings quake is the 10th major quake of September and all 10 have struck The Pacific Ring Of Fire, it is also the 86th major quake of 2018.